Noelle and Nick’s vintage inspired downtown St. Pete wedding featured ivory and shades of purple to compliment their hotel venue’s gorgeous ballroom setting. Searching across Florida to find the perfect venue, the Tampa couple knew that The Birchwood was the perfect location to host their ceremony, cocktail hour and reception. To help plan her downtown St. Pete wedding, Noelle turned to Marry Me Tampa Bay. “I used Marry Me Tampa Bay for inspiration ideas early on in the wedding planning process,” the bride shared. 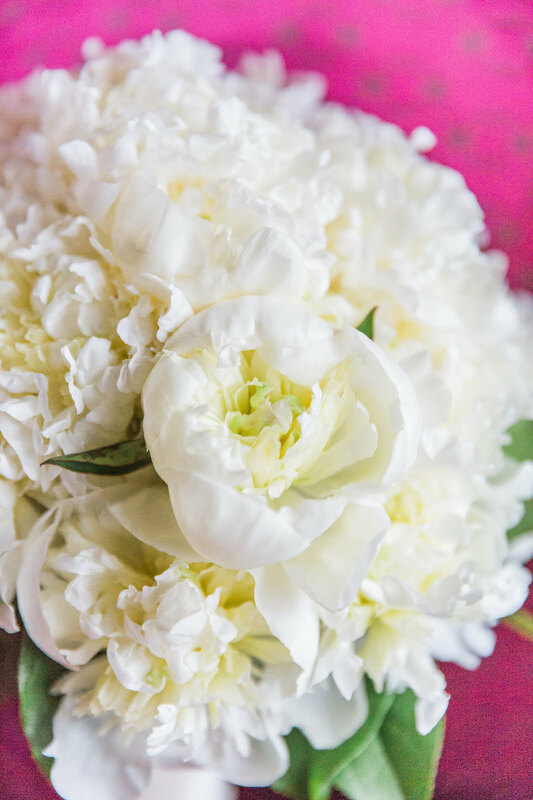 Wanting to keep her florals neutral yet elegant, she hired St. Pete wedding florist Cotton & Magnolia to create custom arrangements with a classic, vintage touch. 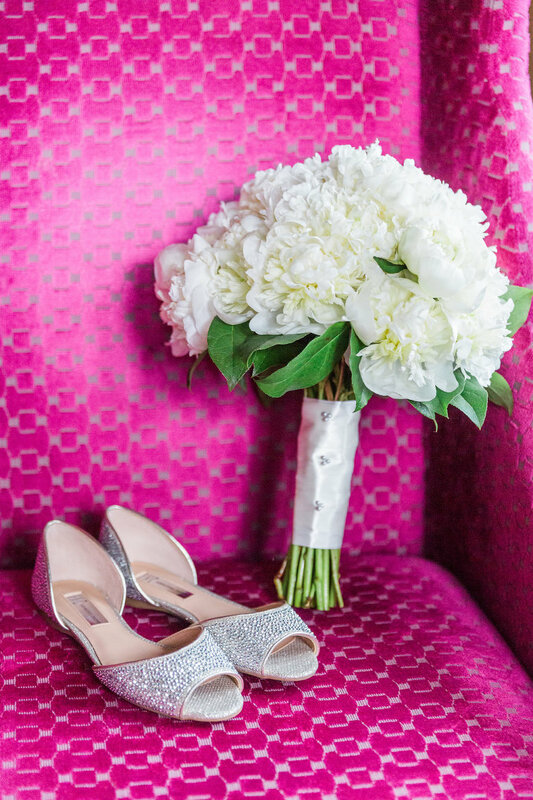 “I wanted a florist who I felt fit my style: simple, but still really beautiful. I chose Cotton & Magnolia because all of their floral arrangements were beautiful and looked so well done. I was very happy with them!” Noelle beamed. 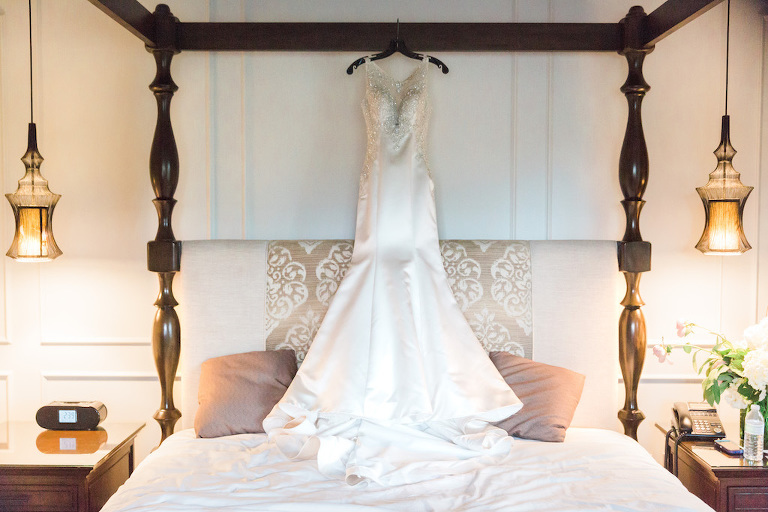 Looking back, the bride reminisced on her most cherished memories from her wedding day. Nick proposed the day before Valentine’s Day. It happened on a nature trail that we often used to take walks on. Our dog, Jack was there, so it made it that much more special! I wanted a space that was already beautiful on its own. The Birchwood ballroom is beautifully done, and I didn’t need to bring in my own decorations. A lot of the spaces I had looked at were very plain with nothing too special or beautiful about them, but The Birchwood really stood out to us! What first stood out to us about the venue was how stunning the ballroom was! The Birchwood was done so beautifully that I decided to keep centerpieces and decorations minimal to really enjoy the beauty of the space. The functionality of the space was also a huge draw for us; we held our ceremony, cocktail hour, and reception all in the ballroom and ballroom foyer, which worked perfectly for us and our 70 guests. We also love downtown St. Pete, and we had a really wonderful view of the water and the rest of downtown from the ballroom. The Birchwood was also extremely affordable in comparison to other all-inclusive venues that we looked into. 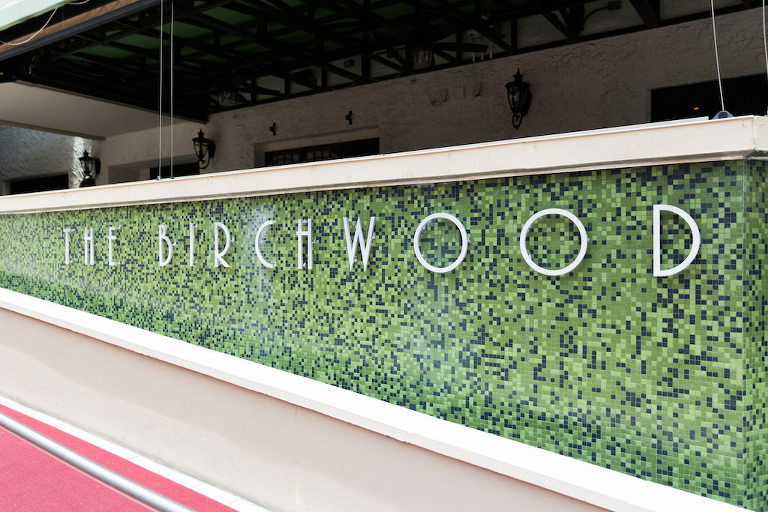 Overall, we had a really wonderful experience with everyone at The Birchwood; they were quick to respond to calls and emails, and were accommodating to everything we needed! I wanted someone who I felt fit my style: simple, but still really beautiful. I chose Cotton & Magnolia because all of their floral arrangements were beautiful and looked so well done. I was very happy with them! I based our wedding theme, color, and style off the style of the venue, The Birchwood, which has a very glamorous, vintage feel. I picked our colors based on what I thought would complement the venue well, but I did always plan on keeping my flowers white and centerpieces neutral. The groomsmen were in a deep plum, as well as my maid of honor, and the bridesmaids were in a dusty rose/purple. I felt the deep plum shade went well with our venue; it felt glamorous to match The Birchwood’s feel. I honestly wasn’t sure what to look for in a wedding DJ! I looked at the DJ’s that The Birchwood suggested and looked up reviews for each company. Grant Hemond & Associates was really great to work with! Their DJ, Adam, was kind and accommodating. I ended up having to reschedule one of our phone meetings and he was very understanding. He was also a lot of fun at the reception! If you find vendors that you love, book them early!